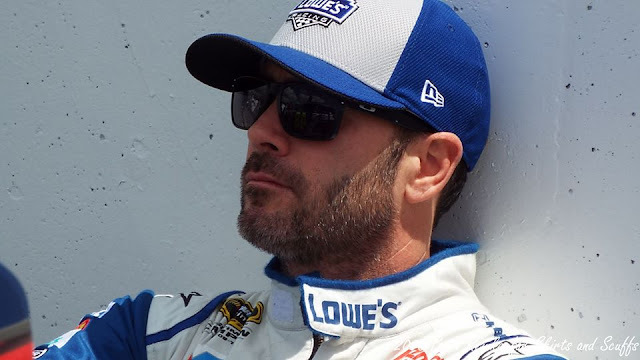 A Jimmie Johnson win at Dover International Speedway used to be a good bet. In fact, Johnson has earned 10 Sprint Cup victories at Dover, which places him ahead of NASCAR Hall of Famers Bobby Allison and Richard Petty, who each recorded seven wins. As he prepared for Sunday’s Chase Round One elimination round at Dover, Johnson took some time in the media center to reflect on last year’s devastating 41st place finish and his approach to this year’s race. “I’m excited to be back to my best race track. I think last year shows that you really can’t count on a racetrack always being kind to a driver or always working in their favor. It’s part of racing,” he said. “Last year, I think, kind of showed everybody once again that you can’t take a race or a track for granted. We’re back with high hopes. I love being here." In last fall’s AAA 400 at Dover, a rear axle seal broke in the No. 48 car on Lap 102. After about 30 minutes in the garage, he returned to the race 36 laps behind the leaders. His 41st-place finish was the worst at Dover in his career. Johnson enters the AAA 400 eighth in the NASCAR Sprint Cup Series driver standings with two wins this season – at Atlanta Motor Speedway and Auto Club Speedway. With a win on Sunday, he would clinch a next-round spot on wins. With a new winner, he can clinch with 29 points, which means finishing 12th and no laps led, 13th and leading at least one lap or 14th and leading the most laps. If there is a repeat winner, Johnson could clinch on points with 24 points, which he can earn by finishing 17th and no laps led, 18th and leading at least one lap or 19th and leading the most laps. The AAA 400 will broadcast live on NBC Sports Network at 2 p.m.